If you’re like me, when you get sensitive information via snail mail, that you’re finished using, you shred it. But what about receiving sensitive information via email? We all know that it’s impossible to delete information from the Internet. A new mobile application for Apple devices called Wickr lets people exchange files and messages without leaving digital traces that could be examined by law enforcement or cyberspies. Wickr, released on Wednesday, addresses the raft of privacy concerns that arise when a person sends a sensitive message: email providers, ISPs, mobile phone companies and social networking sites all retain detailed records of activity on their networks. …to provide secure communications that Leave No Trace. People are being tracked online and their information is being sold in ways they do not understand by numerous governments and corporations throughout the world. Your private communications are worth money. Online communications should be untraceable by default. “This began when we were sitting around in a cafe in San Francisco, talking about Anthony Weiner and laughing,” adds Statica. “But the more we spoke about it, the more we began to think seriously about this problem.” And the tool they came up with, Statica says, is meant to go beyond mere “sexting” or gossip to corporate or medical environments, any situation where the most secure record of communications is no record at all. Senders of a message or photo can set a self-destruct time for the data ranging from a few seconds to six days in the free version of Wickr. As soon as the recipient who has Wickr installed opens the message, the countdown begins. “No matter what can do, you cannot stop the clock,” said Robert Statica. …The only real way to see something sent to a Wickr user would be to steal the person’s phone. Even then, five wrong attempts at the password will cause Wickr to erase itself. I wonder how this app will affect social media, especially with the latest news that GM is apparently considering to return to Facebook advertising. Time will tell. What is NFC? It stands for Near Field Communication. Great. But what does that mean? Near field communication (NFC) is a set of standards for smartphones and similar devices to establish radio communication with each other by touching them together or bringing them into close proximity, usually no more than a few centimetres. Present and anticipated applications include contactless transactions, data exchange, and simplified setup of more complex communications such as Wi-Fi. Communication is also possible between an NFC device and an unpowered NFC chip, called a “tag”. NFC currently exists by way of mobile-payment, but what makes this so newsworthy, is that this is the first time that NFC will be integrated into a print ad (Lexus ad in the April issue of WIRED Magazine). NFC-enabled Lexus ad (Wired Magazine) - as seen in the Ad Age article. 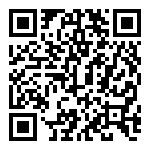 You’re probably thinking…ok, this already exists with QR codes. But no, it’s actually different. Unlike the 2-D barcodes that have been storming magazine pages, readers don’t need to take pictures of anything with their phones’ cameras. The phone automatically detects the NFC chip. In the case of Wired and Lexus, that brings up a link on the phone’s screen. Click the link and a welcome video loads introducing the car’s in-dash App Suite. Users can then click on each of the app icons — Bing, OpenTable, iHeartRadio, Pandora, MovieTickets.com, and Yelp — to see short videos explaing [sic] each app. What I find most fascinating, is that of all industries…it’s the auto industry that is making it’s mark with this new technology. Jupiter Research has projected that up to 700 million NFC-enabled mobile phones will be sold by 2013, representing up to 25 percent of the market at that time (November 2008). Jupiter Research has also projected that NFC Mobile Payments will exceed $30bn by 2012 (September 2009). It’ll be interesting to see how this affects print vs. online advertising, the (hurting) auto industry, the economy in Japan, and the behemoth known as Apple (as it is not on-board with NFC yet…). With the advancement of technology, a lot of dependable and traditional forms of marketing are becoming…well…sort of antiquated. Rather than dwell on things in a negative light, allow me to make a few marketing trend predictions for 2012. If your company has not jumped on the social media bandwagon, well…you best jump right on, because as with most things related to technology, things are only going to get MORE advanced. I’m sure that I’m not the only one that has noticed the recent uptick in social media integration on TV. Clearly TV networks have marketing budgets that are quite larger than average-sized B2B and B2C companies, but aside from “the funds”, two important pieces to this social media integration puzzle include a creative in-house team, and a person/time devoted to social media. Where there’s a will…there’s a way. 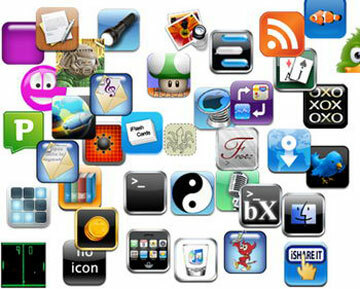 With over 500K apps available to smartphones, 2012 will be the year when the formerly hard-hit auto industry will have its comeback. App integration means bringing services such as Pandora, Google search, and Twitter into the car. The car maker benefits from the known brand and features of the app, while car owners get the services they know and use on the road. Pretty amazing. I never envisioned the auto industry as one to embrace technology like this! What about safety, you ask? …automakers are attempting to create safe interfaces. The apps use the car’s navigation display, and can be controlled with voice and in-car buttons. And for those who want to view their apps on screens larger than their phones or tablets…there are smart TVs. I actually blogged about this in May of 2010 – Computers…coming soon to a TV near you, but it seems as though this technology will actually become prevalent in 2012. You can read more about this here: Smart TV: Six big features that matter (ZDNet). Imagine all of the advertising integration possibilities…via these new modes of app integration. Banners, streaming, real-time, product placement…the options are really practically endless! “Smartphone users are shopping and purchasing through their smartphones at the rate we expected. However, we were surprised to see that users are buying physical goods at about the same rate as apps, indicating that the technology is on the verge of widespread adoption,” said Ann Graham Hannon, vice president of the financial services division at Market Strategies. Along with mobile shopping, more retail companies will create mobile-friendly websites. But with an increase of technology, comes an increase in cyber attacks… Yesterday, Zappos announced that their site had a security breach. While I think that technology is amazing, it could be that because we are advancing toward unknown territories, consumers are too quick to trust the online medium for all of their needs. Case in point – Zappos’ online security breach. As such, I think a lot of brands are going to jump into the pop-up store (short-term sales store) phenomenon. We’re almost at a point where the brick-and-mortar is considered “vintage”, so what better way to stand out from other online retailers, than to have items available for people to touch and see in real life vs. on a screen? I don’t mean to say that more retail stores will necessarily open, no…this would defeat the purpose of something new and fresh. What I mean is that pop up stores will assist brands that already thrive online…as a “new” medium to reach a new audience. It’s times like these (read: major global financial crisis) that companies should know that it’s wiser to cultivate their relationships with existing customers, rather than attempt to isolate them. Further, ever since the Occupy Wall Street movement has gained sympathizers, it seems like the average US citizen’s voice has been found. And s/he is not afraid to use it. On September 19th, I received an email from Netflix CEO – Reed Hastings, alerting me of some major company changes. 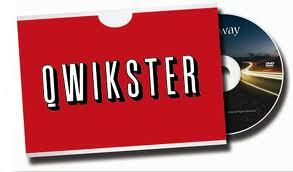 Namely, the renaming their bread and butter – DVD by mail service – to “Qwikster”. Unless you’ve been living under a rock, you know that Netflix Kill[ed]s, its DVD-only business before [its] launch. The people (customers) had spoken, and in a smart, yet rash decision, Netflix decided to retreat. As of September 14th, NFLX stood at $208.71/share, and today it’s at $80.09. That’s a 60%+ drop! Ouch. 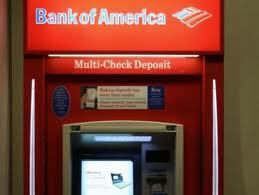 On November 1, Bank of America announced that they’ve eliminated their plan for [the] $5 debt card fee. This AFTER backlash from existing customers. The bank canceled the fee, which would have started in January, after listening “to our customers very closely,” David Darnell, co-chief operating officer, said in a statement today. As a non-CEO of a publicly traded company, maybe my views are skewed, but I’ve always believed that a company should strive to maintain its relationships with existing customers, regardless of the state of the economy. Happy customers tell their friends = more customers (that’s the best kind of marketing). Let’s hope that “third time’s a charm”, isn’t relevant here, and big corporations have taken note. I want to make a bet with you. I wager that by January 2014 almost all forms of tangible media will be either in sharp decline or completely extinct in the U.S. I am talking about not just print but all tangible forms of media — newspapers, magazines, books, DVDs, boxed software and video games. At the time, I am not going to say that I was unaware of the technological advances that were gaining speed, but I really didn’t think that it would happen so quickly. YouTube announced more than 1 billion views per day (October 2009). Blockbuster closed over 900 stores, to date. If you go to Blockbuster.com you can download movies (ala Netflix). In 2009, Circuit City closed and Virgin Megastore ceased to exist in the US. As of Q2-2011: Apple’s iPhone has 19.1% of the market share, and leads all other vendors. Borders is closing in 2011. Additionally, online banking and invoices have become so popular, that the US Postal Service is considering to shorten their work week. Do you even know how much a stamp costs nowadays? Right…didn’t think so. Just like the individuals who left comments to Steve Rubel’s article, I too was a bit skeptical. Funny thing is…now it seems like 2014 is too far into the future. But that hasn’t stopped a parade of social-networking companies from preparing themselves to go public. Renren Inc., China’s equivalent to Facebook, went public on May 4th. It’s the first social-networking site to do so. Not to be the bearer of bad news, but as of end-of-day/closing bell Wednesday (May 11th), RENN‘s stock stood at $13.49. That’s lower than the initial price. What does this mean for Facebook, which is planning to go public next year? And don’t forget LinkedIn, which is planning to join RENN with its own stock – LNKD – later this month. On March 10, 2000, the dot-com bubble burst…is the social-networking IPO bubble going to burst in late 2011/early 2012? 2011 Holiday Party in Liechtenstein? In 2010, chief executives at some of the nation’s largest companies earned an average of $11.4 million in total pay — 343 times more than a typical American worker, according to the AFL-CIO. What’s a CEO to do with all this extra cash? First they should hire more people…and then to celebrate, why not rent the country of Liechtenstein for a night or two? Airbnb, a Couchsurfing-like website for properties, has partnered with an event company in the tiny but gorgeous principality of Liechtenstein to offer, well, the country itself for rent. Renting Liechtenstein, which sports also great skiing, magnificent castles and offshore banks, will set you back about $70,000 a night, but, understandably, the minimum stay is two nights.